Το Eurocrypt 2013 είναι το 32ο Ετήσιο Διεθνές Συνέδριο στη Θεωρία και τις Εφαρμογές των Κρυπτογραφικών Τεχνικών. Το Eurocrypt 2013 πραγματοποιήθηκε 26-30 Μάη, 2013 στο Ξενοδοχείο Κάραβελ της Αθήνας με χορηγία του the International Association for Cryptologic Research (IACR), και οργανώθηκε από το IACR σε συνεργασία με το ΕΚΠΑ. Συμμετείχα στο Συνέδριο με υποτροφία και ως μέλος της ομάδας υποστήριξης του συνεδρίου. Μια πληρέστερη περιγραφή του Συνεδρίου στα αγγλικά αλλά και περισσότερες φωτογραφίες μπορείτε να βρείτε εδώ. Eurocrypt 2013 is the 32nd Annual International Conference on the Theory and Applications of Cryptographic Techniques. 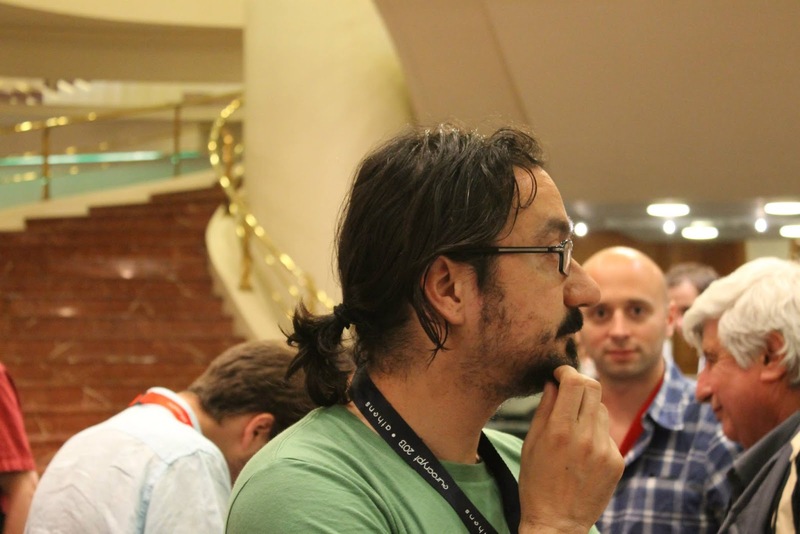 It is devoted to all aspects of cryptology. 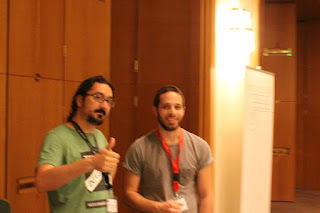 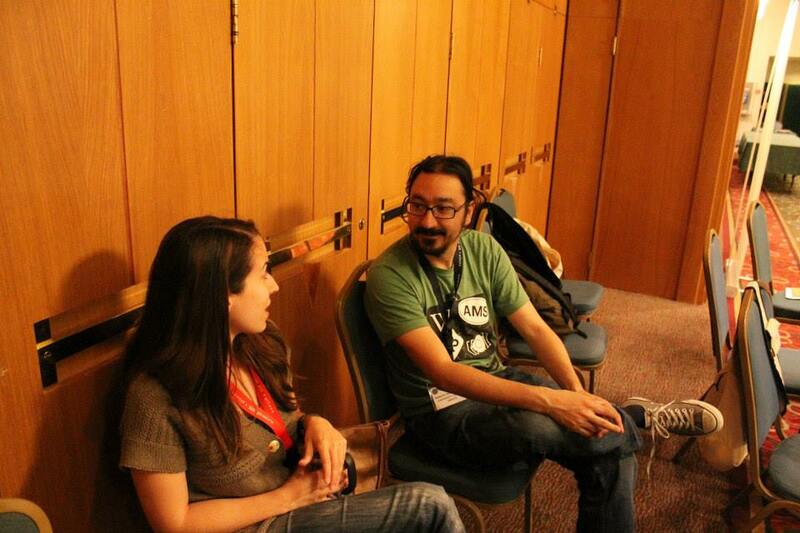 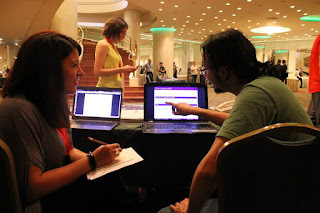 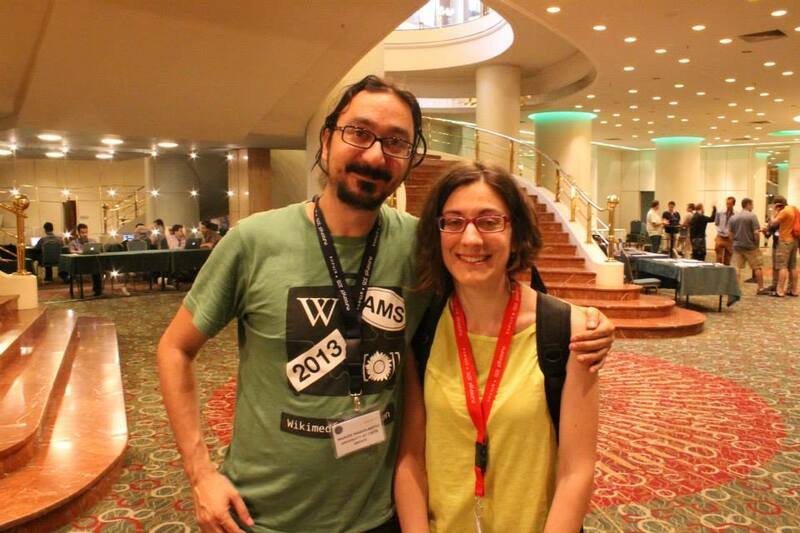 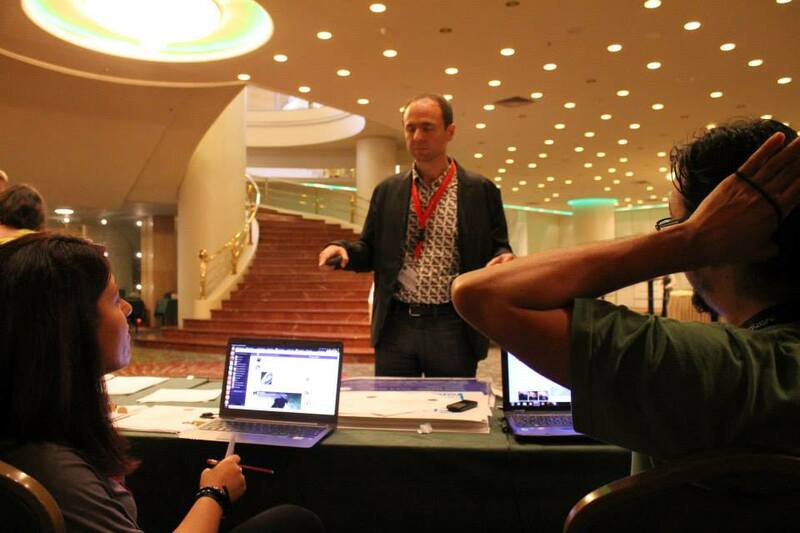 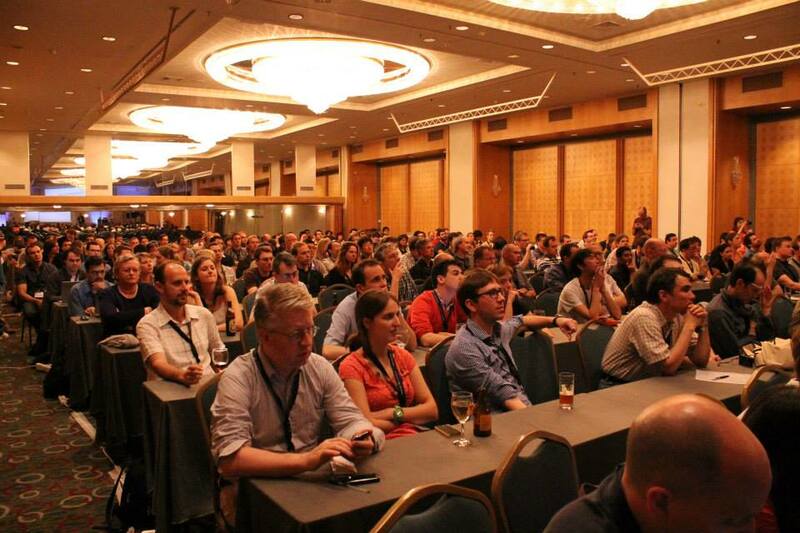 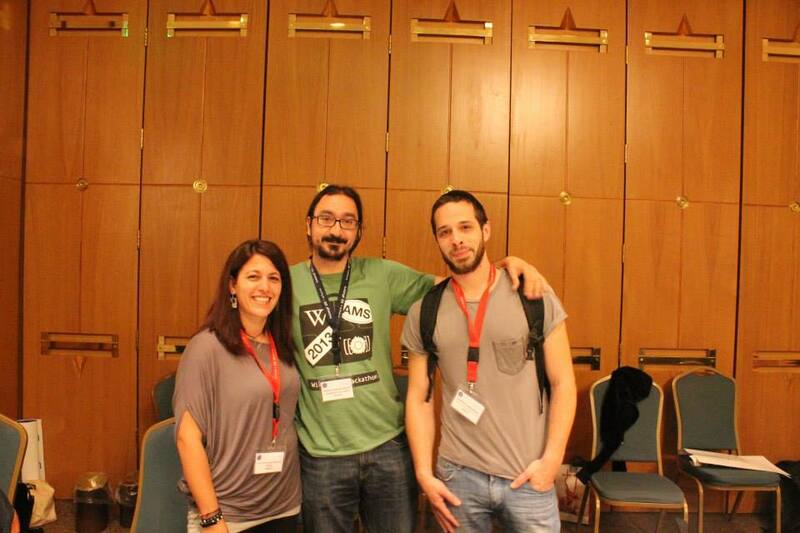 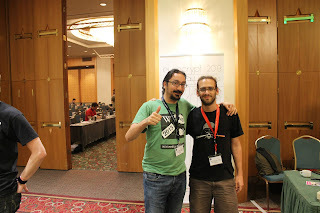 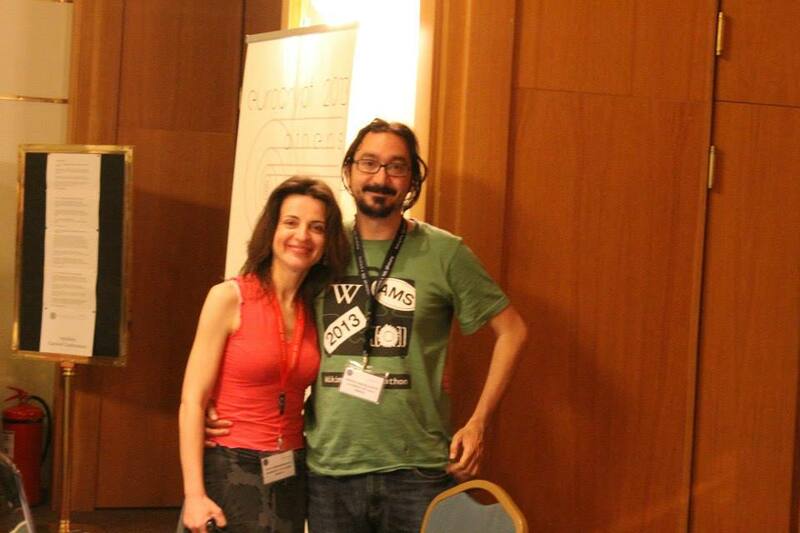 Eurocrypt 2013 took place in Athens in May 26-30, 2013 at Caravel Hotel. 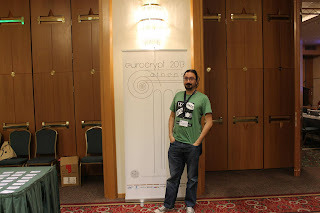 Eurocrypt 2013 is sponsored by the International Association for Cryptologic Research (IACR), and is organized by the IACR in cooperation with the National & Kapodistrian University of Athens. 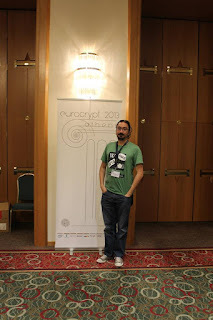 I was selected as a stipend to Eurocrypt 2013 and as a member of the Conference support team. I assisted in many aspects of the organisation of the event and I had the chance to attend some very interesting talks about Cryptography. 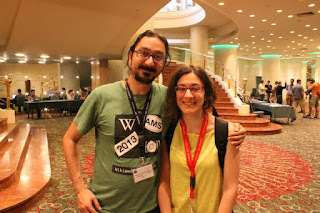 I am member of the International Association for Cryptologic Research (IACR) and the Conference organisers also offered me the registration fees for one year. One other interesting thing is that every participant received a usb stick with the proceedings and a replica of a skytale, a tool used by the Spartans to perform a transposition cipher. 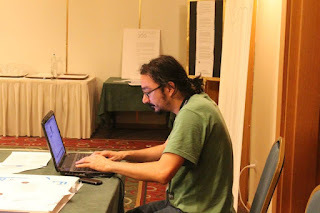 Skytale consists of a cylinder with a strip of parchment wound around it on which is written a message.